Of all the investments that we’re going to make (or have already made) in our life, surely our home would be the most expensive among them. Or if you want to earn your livelihood by opening a restaurant or a cafeteria, then naturally you’d want to design and construct the same in a manner that is going to build you a solid reputation for years to come. Therefore it does not need to be emphasized that our home or bistro would be amongst our most treasured of assets. Arlene Design Build is one of the most distinguished among San Diego General Contractors and has been consistently providing construction, design, renovation, remodeling, and improvement solutions in both residential and commercial sectors. You as a resident of Carlsbad, Mira Mesa or Kearny Mesa in San Diego may be a first time home buyer and want to design and furnish all the rooms in your house in a manner that not only suits your temperament and budget but also conforms to eco-friendly practices. You could also be working on Home Renovation San Diego to keep the resale value of your property intact. Arledge Design Build is one of the most illustrious of San Diego General Contractors that proffers renovation services for your bathroom, kitchen, living room, bedroom, and for all other areas be it the inside or outside of your home. We have a dedicated team of professionals including but not limited to architects and suppliers who have the experience, the skills and the wherewithal to complete any Home Remodeling San Diego project with fast turnarounds and at budgets that are certainly guaranteed to leave a smile on your face without a hole in your pocket. We understand the fact almost everybody’s spending power has taken a beating in these tough economic times and therefore we tell you in advance (without mincing words) of how much would it approximately cost for your Home Renovation San Diego. Our CEO Jonathan Arledge has been a trailblazer in the home construction and renovation industry and has been involved in this sector since his childhood. His extensive experience has helped Arledge Design Build become a leading enterprise among General Contractors San Diego. We have clients in almost all the counties surrounding Kearny Mesa. We do not discriminate in providing our services. For us replacing a leaking faucet is as important as remodeling an entire house. 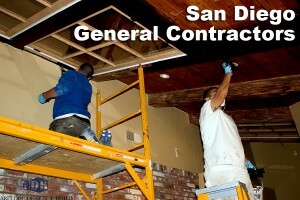 We have been voted as the best San Diego General Contractors by the ABC 10 TV channel. 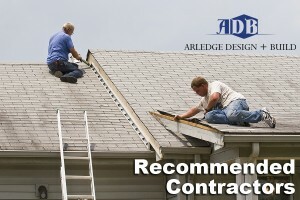 Arledge Design is a recognized San Diego General Contractors company that serves a range of emergency services as well both for commercial and residential segments.